For many people, art is a crucial form of expression in their lives. Seeing a film or any sort of medium the way it was intended by the creator supersedes most other possible factors. Movie theatres that show more mainstream films like MJR or Emagine can be good if the main attractions are just popular films that are known to be non controversial. But, for those looking for a more edgy or outlandish film can seek out art theatres. These specific theatres seek out and play some of the weirder more Avant-garde style of cinema. For example, the Michigan Theatre in Ann Arbor likes to show foreign movies, not only to appeal to the large and diverse population at the college and in the city but to also allow students and residents to see different kinds of films. Foreign movies are just the tip of the iceberg with art theatres; there are so many genres and areas of film the viewer is missing by only seeing and thinking about the mainstream and what’s popular. “Mandy”, a recent film by Panos Cosmatos starring Nicholas Cage, was filled with so much blood, guts and expletives the movie landed itself a solid NR rating. This means that most everyday theatres are missing out due to their fear of controversy and desire to put profit above everything else. Yet, most critics enjoyed the movie. It currently has a 92 percent aggregate score on Rotten Tomatoes. Theatres like The Maple Theater in Bloomfield Hills also show more unique and older films. The experience itself there is also much different. Instead of your usual popcorn and soda sold at an exceedingly high markup, they sell actual lunch or dinner foods like sandwiches and soups. Things like that change the way movies are viewed and also alter the experience in a much more unique and charming way. Seeing a movie that’s action-packed and loud while stuffing your face with sweets and popcorn is drastically less enjoyable than eating a well made meal while enjoying a classic movie. An issue that can be had with art theatres or anything non mainstream is how niche the crowd being catered to is. Not everyone that goes to MJR to watch the newest Spiderman reboot is going to want to watch Casablanca at a midnight showing. While it is true that the everyday fan of films won’t even think twice about there being a secondary outlet for cinema, it is absurd for people to disregard the medium entirely. With the Hollywood vice grip getting tighter every day, unique and possibly edgy films are being shoehorned out of the way by Generic Marvel Movie #42. This is an issue, by the cookie cutter films that are being made just to appease the action-hungry masses, films with character, charm and actual integrity are being tossed to the wayside purely because they don’t have the possibility of making boat loads of cash for producers and financiers. For those willing to take a chance on what they watch and are in it for the art, and not wanting the generic MJR or Emagine experience, take a chance on the different forms of cinema. 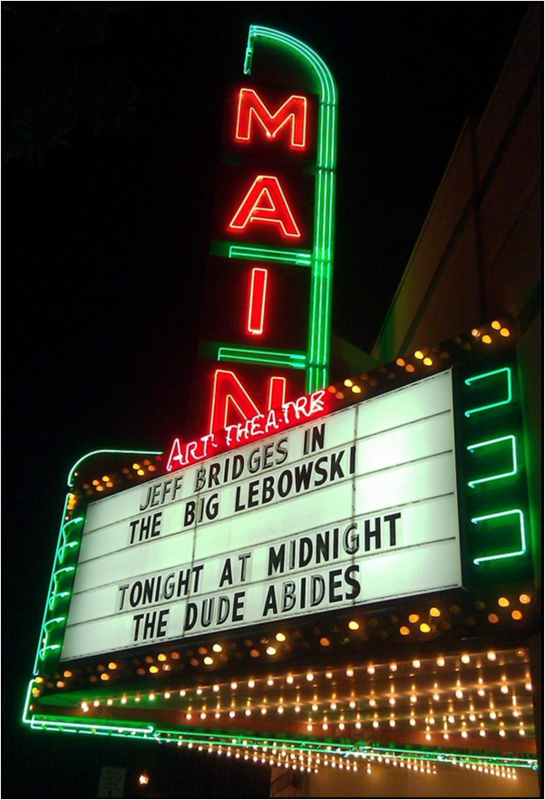 Art theatres are a niche thing, yes, but that doesn’t mean they don’t deserve a chance. Try something new, don’t visit your everyday theatre next time you want to see a movie. Take a chance on art.